Our high quality line of real wood is the most comprehensive collection of wood windows and doors in the industry. With an extensive array of options, accessories and upgrades, you can explore the limits of your creativity. Unlike many other window manufacturers, our real wood windows are machined from solid wood rather than incorporating a simple wood veneer surface or compressed wood fibers. Our all-wood windows are available in nine wood species options: pine, oak, vertical grain fir, American fir, cherry, mahogany, maple, alder and knotty pine. When combined with our color and finishing options, you have unmatched flexibility and superior elegance! Real wood windows and doors offer both beauty and leading technology, performance and options. 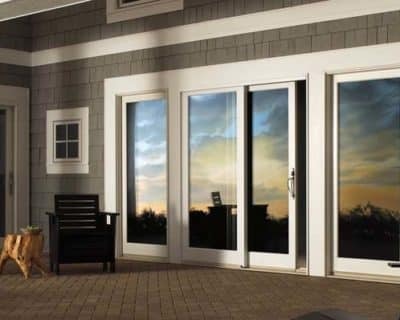 We offer wood windows and doors in several design shapes and styles including patio doors, french doors, bi-folding doors, sliders, casement, hung, bows, bays, picture combination windows and more. These unique design options paired with our dozens of grille, trim and interior finish options combine to create thousands of window and door styles guaranteed to fit the style of your home. Aesthetics – Wood windows offer ultimate aesthetic flexibility, as they can be made from a variety of wood types and offer a warmth and classical elegance that you just can’t get with vinyl or fiberglass windows.